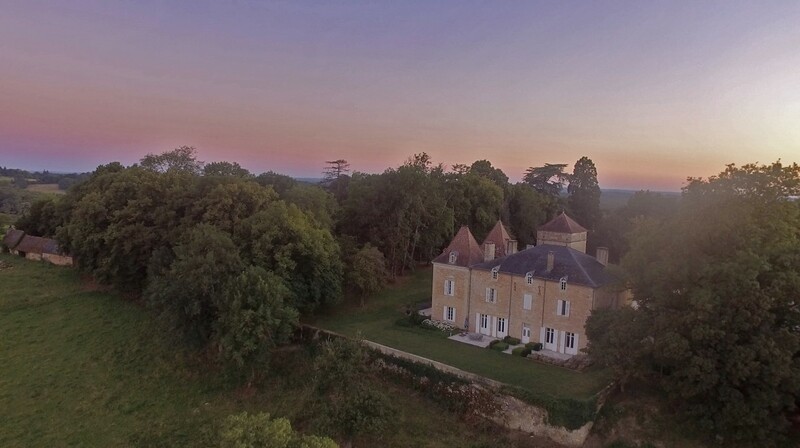 Chateau de Redon has been completely renovated in 2013 with a taste for modern design and respect for all the authentic elements: century-old oak wooden floors, chimneys with majestic mirrors, fine handcrafted mouldings and woodwork. At the same time, all modern comfort has been integrated seamlessly, with each room having its own design bathroom and sometimes a separate dressing room. The kitchen is modern and fully equipped allowing cooking for large groups. The large 2 ha private park with rare, century-old trees offers a secluded location, perfect for families and groups. The salt water swimming pool is heated and completely fenced. Rent the castle as of 66€ per person per day and enjoy everything we have to offer. There are spectacular views of the surrounding countryside waiting to be discovered wherever you walk in the garden. I can only echo what has already been said by other reviewers. This is indeed a small piece of heaven on earth.